Intro to Drawing and Painting! Sign up to enjoy a delightful introduction to the world of drawing and painting! Exploration of traditional techniques in realism, abstraction, drawing/painting from life (figure and still life), and learning control of line & value application to show form and life. 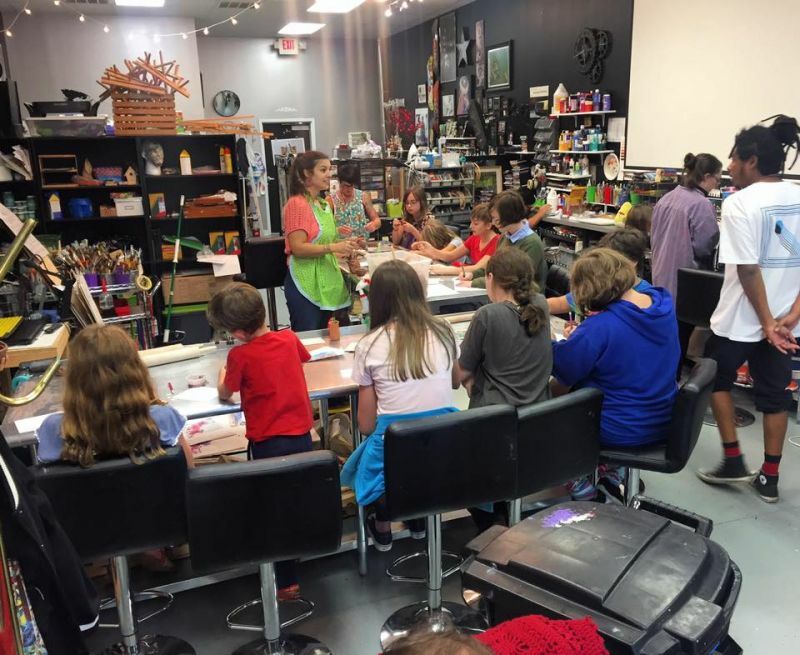 Gain experience with a variety of media including pencil, ink, micropen, charcoal, conte, chalk, pastel, acrylic, tempera, watercolor, ink, and dimensional media. Explore traditional techniques in coil and slab building with earthenware clay. Gain experience with a variety of tools and techniques. Learn how to build a functional vessel as well as nonfunctional decorative items. Understand the process of firing and glazing. Experience amazing color choices and specialty techniques inherent to underglazing. Learn from examples of famous artists’ work both in history and today. Have fun, explore, and learn!